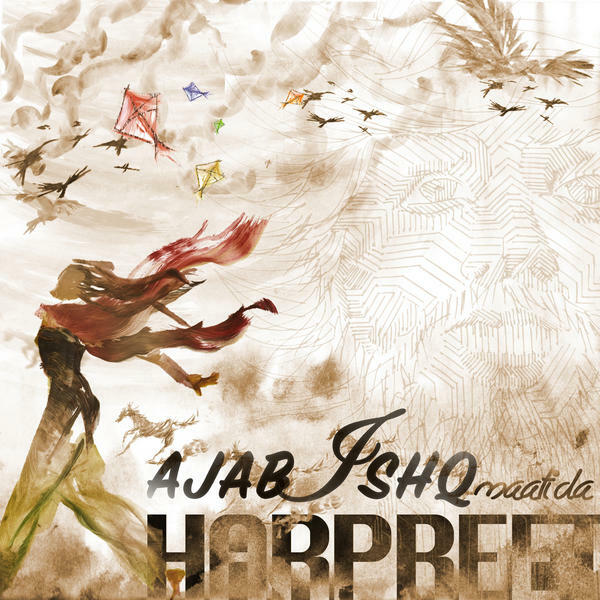 Harpreet’s album has been in the news since 2014 when he released his single ‘Ajnabi’, and if I am right, there was an FB post where crowdfunding as an idea was being tossed around for the completion of the project. Here’s the good news – the album released last month and we have been tripping on it ever since. Call it the effect of the much awaited rains in Bombay, but in spite of average lyrics, the song Ajnabi sounds top drawer. Harpreet sounds comfortable, soothing and musical without making a big deal of it. The song ‘Kutte‘ has a ‘bulleya ki jaana main koun’ vibe in the beginning, but the similarity ends when you observe that the tune and words are too direct and aggressive. The superb music arrangement of the song lends a ‘wanderer’ feel perfectly. The song is in Punjabi, but trust me that wont matter one bit. It’s been a while since man with all fallacies have found a expression, and this song is a beautiful exception to that. ‘Man can’t live alone and can’t live with people’…a crisis we are all too familiar with, aren’t we? Nirala is what takes my breath away every time I hear it. The melodious possibilities are endless when you mix Hindi poetry with contemporary fusion-sque presentation, and boy is this song a case study to that or what! For the want of better expression, this song is about 6 minutes of continuous goosebumps. Harpreet is a joy to listen to…mujhe gagan ka dikha saghan wah chhor…By God, I saw the chhor with Harpreet when I heard this part, so what if I was sitting in the confines of my room. Easily, the best non-filmi song of the year so far. Even in the song like ‘Maati‘ whose composition is more like a continuous fast pop nazm, he keeps it simple and free flowing without overpowering the composition with too many instruments. The long taans in the beginning of Ajab Jodi, paired with fabulous guitar and percussion might well work better than Kerala ‘stuff’, if you know what I mean. The tune isn’t easy and that is hardly an issue for him who sings it with an ease that would put most of the auto tune wonders at discomfort. The lyrics are pure and insightful. We can never have enough of good ‘Heer‘ and this album adds to the glowing collection of ‘Heers’ with its tribute to the same. The composition is the clear winner here. The track is Punjabi and even if it is not your first language, you will love the track, I am quite sure. Sonapani has a lullaby like treatment and is perhaps the easiest composition of the album to hum along. Pipli is again a Punjabi track but you listen to it once and you will know what I have already mentioned time and again…’language-doesn’t-matter’! Breezy composition and passionate singing make up for any linguistic limitations this song might present itself with. I would love to hear what you have to say about the album, but personally speaking, all the new talent that comes up these days has just bollywood aspirations, and that leaves us music fanatics to look to our neighbors and get jealous. There are very few bands which try to present themselves as viable alternatives to the ‘drum-dholki-dafli-autotune-infected-Bollywood’ sound company. Harpreet represents a new sound which I hope gets popular and sells! Art speaks differently to different people. To me, a good music album always makes me want to become a musician and explore the wondrous heritage of music that our country has. Take the old sounds, mix them with new, let nothing be what it has been since ages. Change, because it is wonderful. We always tag the foreign music with ‘genres’, this album is Indian, and boy, what a genre it would be if paid attention and money. For once, I wish we would give out ‘star’ rating because this album and the supreme effort would have got 10 stars out of 5. Illogical? Well, which star rating isn’t? You can listen to my review on BBC here.